Oscar voters showered the neo-musical “La La Land” with 14 nominations on Tuesday, a tie with “Titanic” and “All About Eve” for the most in Academy Award history. But the academy also moved past two #OscarsSoWhite years by honoring six black actors — a record — and including diverse films like “Moonlight,” “Fences” and “Hidden Figures” in the best picture race. Nine movies will compete for Hollywood’s top prize, including several box-office hits. 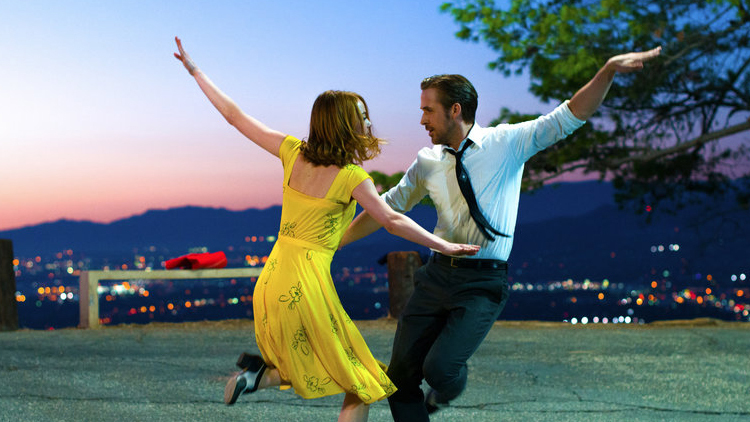 Joining “La La Land” and “Moonlight” (eight nominations total), “Fences” (four), and “Hidden Figures” (three) in the best picture race were “Arrival,” a science-fiction thriller; the cops-and-robbers drama “Hell or High Water”; the subtitled tear-jerker “Lion”; “Manchester by the Sea,” about a mournful New England handyman; and “Hacksaw Ridge,” Mel Gibson’s true story of World War II heroism. In a surprise, Mr. Gibson also drew a nomination as best director, officially ending his 10-year status as a Hollywood pariah for his offscreen behavior. Filling out the directing field were Damien Chazelle (“La La Land”), Denis Villeneuve (“Arrival”), Barry Jenkins (“Moonlight”) and Kenneth Lonergan (“Manchester by the Sea”). In an embarrassing glitch, a website managed by the academy and ABC, which broadcasts the Oscars, initially listed Ms. Adams as a nominee instead of Ms. Negga. An overeager ABC staffer made the mistake, according to an academy official. It was quickly corrected. The Indian actor Dev Patel was nominated for his supporting role in “Lion.” Jeff Bridges from “Hell or High Water,” Lucas Hedges from “Manchester by the Sea” and Michael Shannon from “Nocturnal Animals” rounded out the supporting actor nominees. Pundits will inevitably declare that the academy listened to the #OscarsSoWhite protests that found the Rev. Al Sharpton berating Hollywood in a preceremony rally last year. Public pressure may well have been a factor, but the outcome, in truth, may have more to do with the vagaries of moviemaking: a full slate of high-quality movies with diverse casts that coalesced in the past year. For the first time in memory, the academy did not unveil its nominations at a news conference attended by entertainment journalists. Instead, reporters were bypassed — no chance for academy officials to be peppered with uncomfortable questions that way — and the nominations read without an audience in a presentation broadcast on Oscars.com, “Good Morning America” and other platforms. The academy entrusted its previous ceremony to the producers Reginald Hudlin and David Hill, who brought in Chris Rock to scold Hollywood on diversity and created a cable-news-style scrawl in an ill-advised attempt to make acceptance speeches more interesting. Ratings dropped, and ABC, which broadcasts the ceremony and charges $2 million for a 30-second commercial, moved to take a firmer hand in this year’s telecast. Jimmy Kimmel, who anchors ABC’s late-night programming block,was selected as host. The Oscars will be broadcast on Feb. 26.